This lets you compare the results of your advertising efforts on a traffic source basis. It is typically done by grouping all AdWords data under the label "Google", all Facebook data under the label "Facebook", and so on. 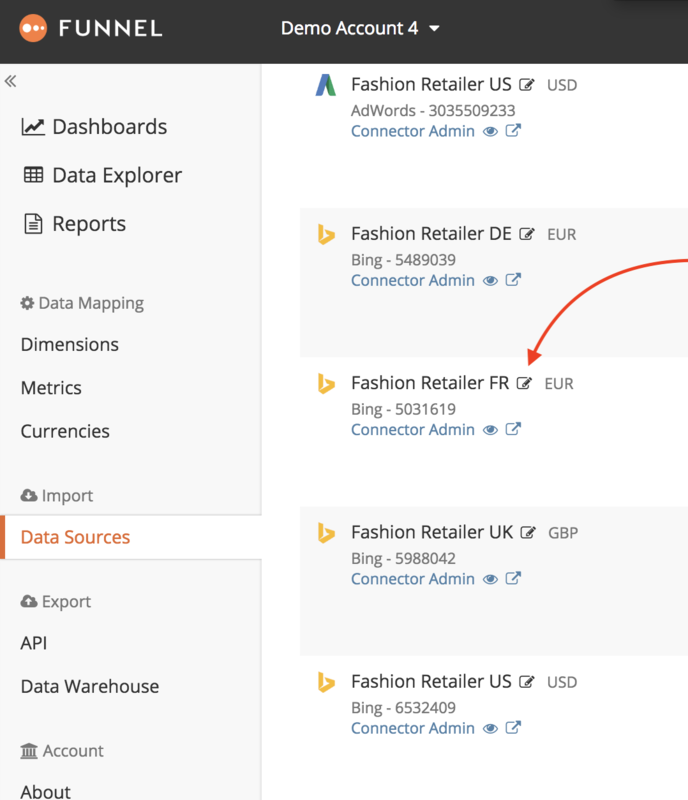 Similarly, all Google Analytics data so that the traffic data (Sessions, Transactions, etc) generated by the respective ad accounts are grouped under the corresponding labels. Usually, this dimension also has values for strictly organic traffic sources such as direct traffic. Having a dimension like this allows segmenting paid and non-paid (organic) traffic. It is often useful to overlay the paid / organic dimension on other dimensions to compare, for example, the paid Google traffic with the organic, or to compare different media types but excluding all organic traffic. With the data split up by market it becomes possible to track the respective markets' performance in isolation, and of course, compare them between each other. Creating a dimension like this is typically quite easy, as long as you have a separate Google Analytics View for each market. If you also separate the advertising accounts by market, you should have no problems at all. 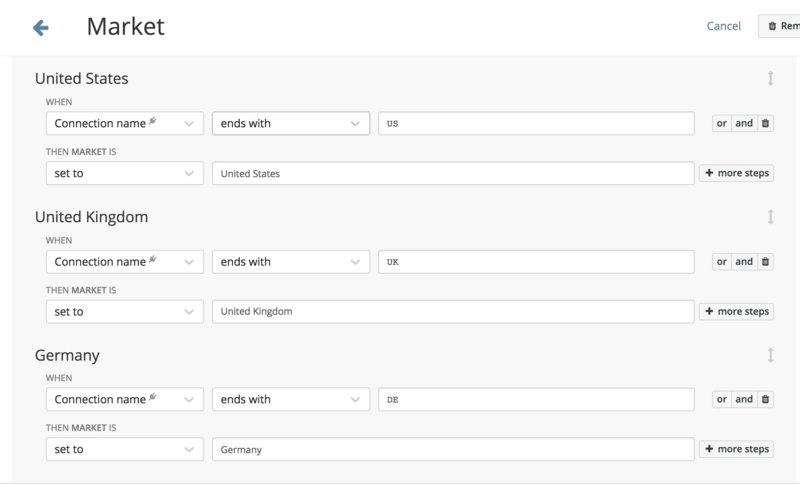 You can create dimensions utilizing the naming convention of the Data Source in Funnel via Connection Name. 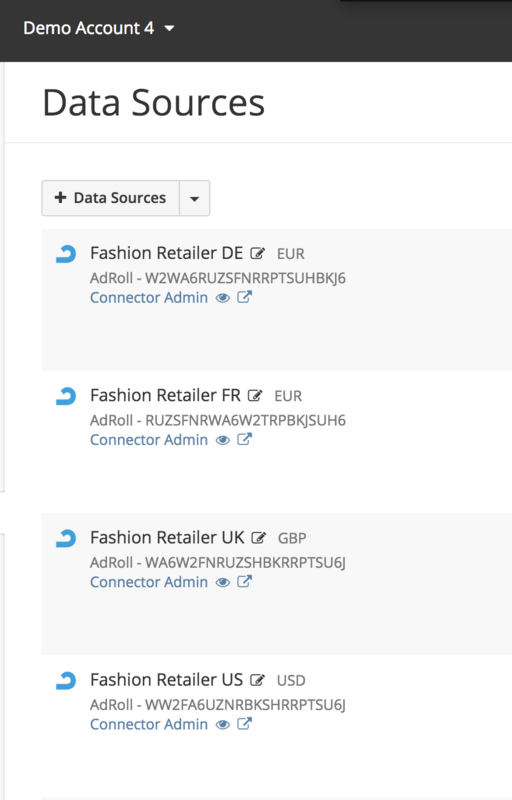 As you can see above, we have the Connection Names of Fashion Retailer DE, Fashion Retailer FR, Fashion Retailer UK, and Fashion Retailer US. We use this naming convention for other Data Source Types as well (AdWords, Google Analytics Views, Criteo, etc). Because of this, we want to utilize Funnel's common dimension rules that apply to all Data Source Types as opposed to the source-specific rules. All GA data as well as ad platform data grouped by market. *Note: If a Data Source does not contain a required naming convention you can always edit its name inside of Funnel utilizing the pen and paper icon next to the Data Source.